Her undergraduate degree is History (London); her Masters was in Energy and Environmental Studies within the Geography Department of Boston University (USA); and her PhD is in the field of Technology and Innovation from the Science Policy Research Unit at the University of Sussex. She is a Coordinating Lead Author (CLA) of Chapter 13 (National and Sub-National Policy and Institutions) of the IPCC Working Group 3’s Sixth Assessment Report (AR6, starting April 2019); she was a Lead Author (LA) in the IPCC Working Group 3’s Fifth Assessment report (AR5) and a coordinating Lead Author (CLA) of the Policy, Financing & Implementation Chapter of the IPCC Special Report on Renewable Energy Sources and Climate Change Mitigation 2008-2011.She also was a Lead Analyst of sub-Chapter 13 (Policy) of Chapter 11 (Renewable Energy) of the Global Energy Assessment undertaken through the International Institute for Applied Systems Analysis (IIASA) 2008-2010; She is currently an EPSRC Established Career Fellow leading a 7 year project (2012-2019) Innovation and Governance for Future Energy Systems (IGov1 and 2). She is Chair of the Regulatory Assistance Project – a US based non-profit organisation that provides regulatory advice to Governments; on the Advisory Board of the GB based Energy and Climate Intelligence Unit (ECIU) and a Trustee of the Centre for Sustainable Energy. She has also advised numerous national and international companies, NGOs and institutions (national and international) on various aspects of the transition to a sustainable energy system. Member, ESO RIIO-2 Stakeholder Group, July 2018 onwards. Member, Advisory Board WinWind, EC Project, 2018 onwards. Visiting Professor, Energy Systems Analysis Group, DTU, Copenhagen, Autumn 2018. Guest Professor, Danish Technical University Systems Analysis team, October –December 2017. Private Briefing to BEIS Select Committee on Energy Prices, October 2017. Keynote Speaker, Ofgem (GB Energy Regulator) Energy Systems Division 2017 Away Day. Catherine's research interest is how to undertake the transition from the current ‘dirty’ energy system to a sustainable energy system, at a rate which is quick enough to make a difference to the planetary imperative of climate change and which maintains energy security. She views this question as a system issue. This requires addressing all the issues which make up a system such as policy (and politics), institutions (including economic regulation), infrastructure, economics, innovation, law and planning. She is interested in what enables, constrains or channels energy system innovation at a local, regional, national and international level. She is also interested in the overlapping spheres of energy (including transport), waste resources, water and food policy and how energy policy fits within the broader climate change policy. IGov2: Innovation and Governance for Future Energy Systems – (2016-2019). Catherine is the Principle Investigator for a 3 year extension of an EPSRC Established Career Fellowship - IGov, described below. IGov has shown that GB's energy governance is slow at changing, including with respect to the demand side, and that GB is following a somewhat different low carbon technological path than other European countries, especially those which are most determined to meet their low carbon targets (i.e. Germany and Denmark). Energy system practice change is happening more quickly in some countries and US States with respect to technology use, new entrants, business models, customer engagement and ownership, and this system change appears to be speeding up and becoming increasingly decentralised. (3) the nature of change appears to be leading to an increasingly linked but increasingly decentralised energy system; and some changes appears to have their own momentum - like a group of birds 'flocking' or a starling's 'murmuration'. (7) concerns that the current fossil fuel disinvestment campaign will have an unexpectedly rapid impact on energy systems, with implications for governance. IGov2 will explore these issues, and their implications for GB energy governance. IGov: Innovation, Governance and Affordability for a Sustainable and Secure Economy - IGov (2012-2016). Catherine is the Principle Investigator for a new EPSRC Established Career Fellowship – IGov. This will examine the relationships between innovation, governance, energy demand and affordability. It will do this by exploring the means by which interactions take place within energy systems and their implications for innovation in respect to carbon targets, technology deployment, investment, new practices, customer involvement, energy efficiency, and the total cost of energy for customers. Specifically the research will consider the relationships between institutions, policy design (such as rules and incentives within the gas and electricity systems (markets and infrastructure), industry structure, incumbent and new entrant company strategies and decision-making processes and consumer practices. The programme covered four years in four countries with very different innovation histories. In particular, it will analyse the implications of different innovation and governance relationships on the success or otherwise of energy demand reduction and issues of affordability. Finally, it will analyse the implications of the findings on long term strategic innovation in energy systems, building upon, and contributing to, the literature and analysis of socio-technical transitions, coevolutionary analysis, institutional economics and policy paradigms. The outcomes will lead to a better understanding of how the transition to a sustainable, low carbon energy system, can occur. 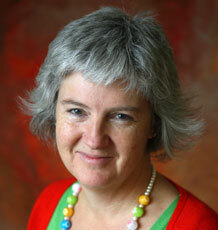 The five person research team is being led by Catherine and is supported by a high level expert panel. This includes UK and international academics working on transition theory, representatives from large and small energy companies, the UK energy regulator, as well as practitioners from the wider energy community who work with a range of stakeholders from across the energy sector. The research will be carried out in respect to the UK energy system and with international comparative analysis within Denmark, Germany, California and Texas. Find out more on the website - www.exeter.ac.uk/igov. Catherine is part of the Aures project. She is also on the advisory board of I-REMB ; She is Co-I in the Oxford Policy Management Energy and Economic Growth project (undertaken by Bridget Woodman in the EPG, see her webpage for more details). She is a Co-I in Stepping UP, undertaken by Iain Soutar and see his webpage for more details.She is also responsible for a governance section of Sim4Nexus, with Nicola Hole as the key researcher. She is also CO-I of the UKERC Heat Incumbancy project - please see Bridget Woodman or Richard Lowes’ web pages; and she is Co-I on the Cornwall Local Energy Market Project (please see Bridget Woodman or Rachel Bray’s web page). Catherine was the Principal Investigator of the ESRC/EPSRC interdisciplinary research cluster into Energy Security in a Multi-Polar World (2009-2013). This brought together the different disciplines of energy policy, international relations and supply chain analysis to analyse the various temporal and dimensional aspects of energy security. The purpose of the research cluster was to strengthen the understanding of British energy security, in two main ways. First, to expand knowledge concerning how to make Britain more energy secure now, in the short term. Second, to analyse what has to be done in the short term, to ensure that energy security will be maintained in the medium to long term, with particular reference to the supply chains of oil and gas supply and sustainable energy technologies. The ‘new’ or ‘distinctive’ element of this project was to bring together three overlapping disciplinary research areas of expertise to address the problem of energy security: energy policy, international relations and research about supply chains. There has long been a distinction within the energy policy discourse between internal and external sources of energy security or insecurity. The energy policy debate is, as yet, limited in its ability to incorporate new, or alternative, approaches to analysing and explaining evolving international contexts and their implications for domestic energy security and it is intended that this research cluster will address this and explore how Britain could develop strategic, flexible relationships with energy supply countries. Catherine’s research work also links closely to her other colleagues Bridget Woodman, Richard Hoggett, Jess Britton, Richard Lowes, Antony Froggatt, Becky Willis, Iain Soutar, Oscar Fitch-Roy, Rachel Bray, Nicola Hole, Julie Smith; to her Phd students Thomas Pownall, Helen Poulter and Emily Judson; and to the associate fellows. Fitch-Roy OWF, Benson D, Mitchell C (2019). Wipeout? Entrepreneurship, policy interaction and the EU’s 2030 renewable energy target. Journal of European Integration / Revue d'Intégration Européenne, 41(1), 87-103. Full text. We develop the concept of evolving risk to demonstrate that the optimal policy choice between price and quantity instruments may change over time. Drawing from system innovation, evolutionary concepts and modern financial and transaction cost economics, we analyze dynamic cost and welfare impacts of instrument choice under uncertainty. In early market deployment of niche technologies, economic and system-innovation arguments suggest price instruments can stabilize revenues and decrease market risks for investors. This accelerates deployment without necessarily compromising economic efficiency. Protective policies that work well for niche technologies should, however, be used cautiously during market upscaling and diffusion, due to the changing nature of risks. We use theoretic arguments and a case to demonstrate that a gradual shift towards quantity control may become preferable for welfare maximization under certain circumstances. Solar photovoltaics in Germany serves as illustrative case, where auctions (a form of quantity control) succeeded feed-in tariffs (a price instrument). Lockwood M, Kuzemko C, Mitchell C, Hoggett R (2017). Historical institutionalism and the politics of sustainable energy transitions: a research agenda. Environment and Planning C: Government and Policy, 35, 312-333. Full text. Lockwood M, Mitchell C, Hoggett R, Kuzemko C (2017). The governance of industry rules and energy system innovation: the case of codes in Great Britain. Utilities Policy Full text. Kuzemko C, Lockwood M, Mitchell C, Hoggett R (2016). Governing for sustainable energy system change: Politics, contexts and contingency. Energy Research & Social Science, 12, 96-105. Full text. Mitchell C (2016). Momentum is increasing towards a flexible electricity system based on renewables. Nature Energy, 1(2), 15030-15030. Full text. Mitchell C, Watson J, Whiting J (eds)(2013). Energy Security in a Multipolar World. UK, Palgrave MacMillan. Edenhofer O, Pichs-Madruga R, Sokona Y, Seyboth K, Arvizu D, Bruckner T, Christensen J, Chum H, Devernay JM, Faaij A, et al (eds)(2011). Summary for Policy Makers: IPCC Special Report on Renewable Energy Sources and Climate Change Mitigation. Cambridge, United Kingdom and New York, NY, USA, Cambridge University Press. Author URL. Mitchell C (2010). The Political Economy of Sustainable Energy., Palgrave MacMillan. Mitchell CHC (2010). The Political Economy of Sustainable Energy., Palgrave MacMillan. Mitchell C (2007). The Political Economy of Sustainable Energy. UK, Palgrave. Mitchell CHC, Woodman B (2006). New Nuclear Power; Implications for a sustainable energy system., Warwick Business School & Green Alliance. Mitchell C, Woodman B (2004). The Burning Question – is the UK on course for a low carbon economy. UK, IPPR Press. Mitchell CHC, Hartley N, Aldridge S, Armstrong S, Brereton A, Chapman J, Coates I, Corsellis E, Eyre N, Gross R, et al (2002). The energy review. Mitchell CHC, Laing C (2001). Resource Productivity: Making more with less. Hoolohan C, Larkin A, McLachlan C, Falconer R, Soutar I, Suckling J, Varga L, Haltas I, Druckman A, Lumbroso D, et al (In Press). Engaging stakeholders in research to address water-energy-food (WEF) nexus challenges. Sustainability Science Full text. Soutar I, Mitchell C (2018). Towards pragmatic narratives of societal engagement in the UK energy system. Energy Research and Social Science, 35, 132-139. © 2017 Elsevier Ltd Issues of societal engagement in the energy system pervade both the study and the doing of energy policy. In both realms, narratives as persuasive ‘vehicles of meaning’ help us both to make sense of society's role in past and current energy systems, and shape these roles in future energy systems. However, our eagerness to simplify complex histories and unwritten futures means that the narratives we create are often reliant on assumptions. This has implications for the degree to which narratives can find pragmatism, and thus be valuable, to a wide range of stakeholders. Drawing both on historic accounts of societal engagement in energy systems alongside emerging discourses around future energy systems, this paper offers several points of caution for the use of narratives of engagement. In terms of historic narratives, these relate to hindsight bias, predictability, and normative positioning, the combination of which depict histories of engagement as retrospectively obvious, and falsely suggest a controllability of past events. In terms of forward-looking narratives, while optimism and ambiguity play key roles in garnering interest in visions among stakeholders, they also mean that narratives vary in their relevance, and thus value to, different stakeholders. Fundamentally, narratives must find legitimacy in the actors they purport to recruit, and must thus simultaneously attend to regulative, normative and cognitive aspects of energy system engagement. Kuzemko C, Mitchell C, Lockwood M, Hoggett R (2017). Policies, politics and demand side innovations: the untold story of Germany's energy transition. Energy Research and Social Science, 28, 58-67. © 2017 Elsevier LtdThis article shines a light on a less examined aspect of sustainable energy transitions: governing for demand side innovations in Germany. Demand innovations are considered to be central to affordable, efficient and politically acceptable energy system transformations, however many argue that not enough is being done in governance terms. In a departure from much analysis on demand policy demand innovations are defined broadly here to explicitly include demand side response, demand reduction and distributed energy – given that each has important roles to play within demand-oriented markets. Demand governance is conceptualised as a long-term political process that is both contextually specific but also open to challenge and change at various points in time. The single case study is Germany where demand governance, recent changes in energy markets, and implications for how the politics of energy are changing are all analysed. This paper reveals the specific ways in which critical policy debates emerge over time and influence political decision-making; the ways in which these debates relate to changes in energy markets; as well as a lack of governance in relation to enabling demand side response and local energy markets. Mitchell C (2016). Policy dialogue on the assessment and convergence of renewable energy policy in EU member states. Energy & Environment, 27(1), 3-4. Full text. Mitchell C (2015). Designing energy policy under uncertainty. Nature Climate Change, 5(6), 517-518. Full text. Halsnaes K, Garg A, Christensen J, Føyn HY, Karavai M, La Rovere E, Bramley M, Zhu X, Mitchell C, Roy J, et al (2014). Climate change mitigation policy paradigms-national objectives and alignments. Mitigation and Adaptation Strategies for Global Change, 19(1), 45-71. Kern F, Kuzemko C, Mitchell CHC (2014). Measuring and explaining paradigm change: the case of UK energy policy. Policy and Politics: an international journal, 42(4), 513-531. Full text. Hoggett RD, Bolton R, Candelise C, Kern F, Mitchell CHC (2014). Supply chains and energy security in a low carbon transition. Applied Energy, 123, 292-295. Author URL. Hoggett R, Bolton R, Candelise C, Kern F, Mitchell C, Yan J (2014). Supply chains and energy security in a low carbon transition. Applied Energy, 123, 292-295. Halsnaes, K, Garg A, Christensen J, Foyn, HY, Karavai M, La Rovere E, Bramley M, Zhu X, Mitchell C, Roy J, et al (2012). Climate change mitigation policy paradigms-national objectives and alignments. Mitigation and Adaptation Strategies for Global Change, 1-27. Kitzing L, Morthorst PE, Mitchell C (2012). Renewable energy policies in Europe: Converging or diverging?. Energy Policy, 51, 192-201. Woodman B, Mitchell C (2011). Learning from experience? the development of the Renewables Obligation in England and Wales 2002-2010. ENERG POLICY, 39(7), 3914-3921. The UK has enviable renewable resources, both onshore (wind) and offshore (wind, wave and tidal) (The Offshore Valuation Group, 2010). The government has had policy mechanisms in place since 1990 to encourage these resources to be developed. The current mechanism, the Renewables Obligation (RO), was specifically designed to emphasise competition and therefore to fit in with the UK's overall strategic approach to energy policy. However, as yet, it has not delivered the capacity that it was designed to do, and as a result the UK faces a difficult challenge in attempting to meet European-wide renewable energy targets for 2020, as well as longer term decarbonisation targets. This paper explores some of the major reasons why the RO has performed so poorly to date and considers the prospects for improvement up to 2020. It concludes that the strategic emphasis on competition in the support mechanisms has played a key role in limiting renewables development, but that the mechanism has changed significantly since it was introduced. However, these changes, together with proposals for electricity market reform, still do not address important elements of risk in comparison with a standard Feed in Tariff. (C) 2011 Elsevier Ltd. All rights reserved. Mitchell C, Woodman B (2010). Towards trust in Regulation - Moving to a Public Value Regulation. Energy Policy, 38, 2644-2651. Jacobsson S, Bergek A, Finon D, Lauber V, Mitchell C, Toke D, Verbruggen A (2009). EU Renewable Energy Support Policy: Faith or Fact. Energy Policy, 37(6), 2143-2146. The recent EU Commission proposal for promoting the supply of power from renewable energy sources was originally based on a pan-European, harmonised tradable green certificate (TGC) scheme. We suggest, on the basis of a multi-disciplinary analysis, that a pan-EU TGC system is not the way forward for Europe. It is vital that the Commission (and the majority of Member States) avoids implementation of such policy designs put forward by a coalition of vested interests. They should instead look at, and act upon, the available evidence from those countries that have experimented with TGCs (e.g. Flanders, UK and Sweden) and design policies that stand a better chance of meeting the criteria of effectiveness, efficiency and equity. In particular, the policies must enable EU to meet the immense innovation/industrialisation challenge by inducing the development of a capital goods industry that can, eventually, diffuse a broad range of technologies that use renewable energy sources. Only then we can acquire an ability to implement an industrial revolution in the energy system in a way that broadly meets the criteria of effectiveness and dynamic efficiency. Mitchell C, Bauknecht D, Connor PM (2006). Effectiveness through risk reduction: a comparison of the renewable obligation in England and Wales and the feed-in system in Germany. Energy Policy, 34(3), 297-305. Mitchell C, Woodman B (2005). Can the UK get Back on Track. Energy Solutions, 44-45. Mitchell C, Woodman B (2005). Too Little Too Late. The Utilities Journal, 36-37. Mitchell C, Connor PM (2004). Renewable Energy Policy in the UK 1990-2003. Energy Policy, 32(17), 1935-1947. Mitchell CHC (2004). Special Edition: Energy Policy for a Sustainable Future. Energy Policy, 17, 1887-1889. Mitchell C (2003). System Change for a Sustainable Energy Future. Power Economics, 7(1), 19-22. Mitchell C (2002). Fin du liberalisme anglais pur et dur. Les Cahiers de l’electricite(50), 2-3. Mitchell CHC (2000). Neutral Regulation - the vital ingredient for a sustainable energy future. Energy and Environment, 11(4), 377-390. Mitchell C (2000). The England and Wales non-fossil fuel obligation: History and lessons. ANNUAL REVIEW OF ENERGY AND THE ENVIRONMENT, 25, 285-312. Author URL. Mitchell C (2000). Tradable Green Certificates. Utilities Journal, 40-41. Mitchell CHC, Anderson T (2000). Tradable Green Certificates. International Journal of Ambient Energy, 21(3). Brower M, Thomas S, Mitchell C (1997). Lessons from the British restructuring experience. The Electricity Journal, 10(3), 40-51. Mitchell C (1996). Future Support of Renewable Energy in the UK - Options and Merits. Energy and Environment, 7, 267-284. Mitchell C (1996). The UK's Renewable Non-Fossil Fuel Obligation - Results and Lessons. Economia Delle Fonti Di Energia e Dell'ambiente, 45-77. Mitchell CHC (1995). A comparison of the means and cost of subsidising wind energy. Journal of power and energy(209), 185-188. Mitchell CHC (1995). The Renewable NFFO - a review. Energy Policy, 23(12), 1077-1091. Mitchell CHC (1993). Methane Emissions from the Coal and Natural Gas Industries in the UK. Chemosphere, 26(1-4), 441-446. Mitchell C, Cleveland C (1993). Resource Scarcity, Energy Use and Environmental Impact: a case study of the New Bedford Fisheries. Journal of Environmental Management, 17(3), 305-318. Mitchell CHC (1991). Coal Bed Methane in the UK. Energy Policy, 9(9), 849-854. Mitchell CHC, Sweet J, Jackson T (1990). A study of leakage from the UK Natural Gas Distribution System. Energy Policy, 18(9), 809-818. Lockwood M, Mitchell C, Hoggett R (2019). Energy governance in the UK. In Knodt M, Kemmerzell J (Eds.) The Handbook of Energy Governance in Europe, Springer VS.
Mitchell CHC (2015). Electricity Markets and their Regulatory Systems for a Sustainable Future. In Ekins P, Bradshaw M, Watson J (Eds.) Global Energy Issues, Potentials, and Policy Implications, Oxford University Press, USA. Kern F, Kuzemko C, Mitchell CHC (2015). How and Why Do Policy Paradigms Change; and Does it Matter? the Case of UK Energy Policy. In (Ed) Policy Paradigms in Theory and Practice. Discourses, Ideas and Anomalies in Public Policy Dynamics, Peter Lang. Mitchell CHC, multiple A (2014). National and Sub-National Policies and Institutions. In Edenhofer O (Ed) IPCC Fifth Assessment Report, Working Group 3, Cambridge University Press. Mitchell C, Watson J, Britton J (2013). Energy Security Policy in Britain: Markets, Complexity and Challenges. In Mitchell C, Watson J, Britton J (Eds.) New Challenges in Energy Security the UK in a Multipolar World, Palgrave Macmillan, 68-91. Mitchell CHC, Watson J (2013). Introduction: Conceptualising Energy Security. In Mitchell CHC, Watson J, Whiting J (Eds.) New Challenges in Energy Security: the UK in a Multipolar World, Palgrave Macmillan, UK: Palgrave MacMillan. Mitchell CHC, Watson J (2013). New Challenges in Energy Security: the UK in a Multipolar World - Conclusions and Recommendations. In Mitchell C, Watson J, Whiting J (Eds.) New Challenges in Energy Secuirty: the UK in a Multipolar World, Palgrave MacMillan. Mitchell C (2012). Designing and Creating my Low Carbon Home. In Herring H (Ed) Living in a Low-carbon Society in 2050, Palgrave MacMillan. Mitchell CHC, Swain J, Pokharel GR, Kammen D, Wang Z, Fifita S, Jaccard M, Langniss O, Lucas H, Nadai A, et al (2011). Policy, Financing and Implementation. In Edenhofer O, Pichs-Madruga R, Sokona Y, Seyboth K, Matschoss P, Kadner S, Zwickel T, Eickemeier P, Hansen G, Schlömer S (Eds.) IPCC Special Report on Renewable Energy Sources and Climate Change Mitigation, Cambridge, UK: Cambridge University Press. Author URL. Turkenburg W, Arent D, Bertani R, Faaji A, Hand M, Krewitt W, Larson E, Lund J, Mehos M, Merrigan T, et al (2011). Renewable Energy. In Johansson T (Ed) Global Energy Assessment, Cambridge University Press. Bruckner T, Edenhofer O, Estefen S, Faaij A, Fischedick M, Hiriart G, Hohmeyer O, Hollands KGT, Huckerby J, Kadner S, et al (2011). Technical Summary : IPCC Special Report on Renewable Energy Sources and Climate Change Mitigation. In Edenhofer O, Pichs-Madruga R, Sokona Y, Seyboth K, Matschoss P, Kadner S, Zwickel T, Eickemeier P, Hansen G, Schlömer S (Eds.) , Cambridge, United Kingdom and New York, NY, USA: Cambridge University Press. Mitchell C (2010). Forging European Responses to the Challenge of Climate Change and Energy Resource Supply. In (Ed) International Science and Technology Cooperation in a Globalised World: the External Dimension of the European Research Area, Edward Elgar Publishers. Mitchell C, Woodman B (2010). Regulation & Sustainable Energy Systems. In Cave M, Baldwin R, Lodge M (Eds.) The Oxford Handbook of Regulation, Oxford Univ Pr. Mitchell C, Woodman B (2010). Regulation and sustainable energy systems. In baldwin R, Cave M, Lodge M (Eds.) Oxford Handbook of Regulation, Oxford University Press, 572-589. Mitchell C, Woodman B, Aldridge J (2010). The development of renewable energy policy in the UK. In (Ed) EU ENERGY LAW, Renewable energy in the European Union, Part II, National Renewable Energy Support schemes and policies, Claeys & Casteels BVBA publishing house. Mitchell C, Woodman B (2007). Risk, Economics & Nuclear Power. In Elliott D (Ed) Nuclear or Not? Does Nuclear Power have a Place in a Sustainable Energy Future, UK: Palgrave, 149-167. Author URL. Mitchell C (2003). The Evolving Relationship Bewtween Liberalisation, the Regulator, and Renewable Energy Development, 1990-2002. In l'énergie UDGCUDDPD, Lachal B, Romero F (Eds.) L'énergie, controverses et perspectives, University of Geneva Press, 299-306. Mitchell CHC (2003). The evolving relationship between liberalisation, the regulator, and renewable energy development, 1990-2002. In Lachel B, Romerio F (Eds.) , University of Geneva Press, 299-306. Mitchell CHC, White A (2002). Network Issues, Energy Advisory Panel. In (Ed) . Mitchell CHC (2000). Renewables in the UK - How are we doing?. In MacKerron G, Pearson P (Eds.) International Energy Experience: Markets, Regulation and the Envrionment, 205-217. Mitchell CHC, Lockwood M, Hoggett RD, Kuzemko C (2017). GB Energy Governance for Innovation, Sustainability and Affordability. Energy Governance: New ideas, new institutions, new people. 28th - 28th Nov 2017. Full text. Mitchell CHC, Lockwood M, Hoggett RD (2017). GB Energy Governance for Innovation, Sustainability and Affordability: an institutional framework. Center for Design, Innovation, and Sustainable Transition. 23rd - 23rd Nov 2017. Full text. Mitchell C, Lockwood M, Hoggett RD, Kuzemko C (2016). Governing for Innovation Without Disruption in Energy Systems. Innovation and Disruption – the energy sector in transition. 21st - 22nd Sep 2016. Full text. Lockwood M, Mitchell CHC, Hoggett RD, Kuzemko C (2016). Innovation and the governance of energy industry codes. BIEE 2016, Innovation and Disruption – the energy sector in transition. 21st - 22nd Sep 2016. Kitzing L, Mitchell CHC (2014). Achieving energy transitions: Which RES policies are best applied when? Reducing risk and creating an enabling environment. THE ENERGY TRANSITIONS CONFERENCE. 2nd - 4th Mar 2014. Author URL. Mitchell CHC, Lockwood M, Hoggett RD, Kuzemko C (2014). Current Rules and Incentives in the Energy System and Emerging Governance Themes. Progressive Energy Governance. 15th - 15th May 2014. Author URL. Mitchell CHC (2014). Governance and disruptive energy systems. International Workshop on Incumbent-Challenger Interactions in Energy Transitions. 22nd Sep 2014 - 23rd Sep 2104. Author URL. Full text. Mitchell CHC (2014). Introduction to IGov Progressive Energy Governance Conference. Progressive Energy Governance. 15th - 15th May 2014. Author URL. Souter I, Mitchell CHC (2014). Is small beautiful (and how beautiful)? Understanding the role of community energy within the wider UK energy system. Norwich Conference on Earth Systems Governance. 1st - 3rd Jul 2014. Author URL. Mitchell CHC (2014). Transformational Climate Science: the challenge of mitigation – the outcomes of the Working Group III (public event). Transformational Climate Science. 15th - 16th May 2014. Author URL. Full text. Mitchell CHC (2014). WG II and policy for climate change. the Transformational Climate Science. 15th - 16th May 2014. Author URL. Full text. Mitchell CHC (2000). Removing Barriers to Sustainable Energy from Regulation of Liberalised Energy Markets-the UK as a Case Study. Reconciling a Sustainable Energy Future with the Liberalisation and Privatisation of the European Energy Market. 27th - 28th Oct 2000. Mitchell CHC (2014). Future energy markets and networks in the UK and European Union., UKERC. Author URL. Froggatt A, Mitchell CHC, Managi S (2012). Reset or Restart? the Impact of Fukishima on the Japanese and German Energy Sectors. Author URL. Hoggett R, Judith Ward, Mitchell CHC (2011). Heat in Homes: customer choice on fuel and technologies. Baker PE, Mitchell CHC, Woodman B (2011). Project TransmiT: Academic Review of Transmission Charging Arrangements. Gas and Electricity Markets Authority (OFGEM), Univerisity of Exeter. Author URL. Hoggett R, Mitchell CHC, Woodman B, Baker PE (2011). The Key Energy Policy Issues for Energy Security in the UK: Summary Report. Energy Policy Group, Univerisity of Exeter. Author URL. Reid G, Patt J, Schellenkens G, Mitchell CHC, Battaglini A (2010). A Global Renewables Investment Plan, Scaling up investments in renewable energy technologies (Delhi International Renewable Energy Conference). Baker P, Mitchell C, Woodman B (2010). Network Regulation and an Electricity Market for a Low Carbon Future. UKERC, UKERC, UKERC. Baker P, Mitchell C, Woodman B (2009). The Extent to Which Economic Regulation Enables the Transition to a Sustainable Electricity System. UKERC, UKERC. Author URL. Froggatt A, Woodman B, Mitchell C (2005). Current Status of UK Offshore Wind. European Commission FAVORES project,. Mitchell C, Connor P (2004). A Regulatory Roadmap for the UK: Road Map for Transition of the Regulatory Framework. of the UK Electricity Supply System. EU SUSTELNET project, UK. Author URL. Wu X, Jenkins N, Strbac G, Watson WJ, Mitchell C (2004). Integrating Renewables and CHP into the UK Electricity System, Tyndall Centre for Climate Change. Tyndall Centre for Climate Change Research, UK, Tyndall Centre for Climate Change Research. Mitchell CHC (2003). Aligning Economic Instruments in UK's Waste Strategy for a Sustainable Future. Mitchell C (2003). Local, Regional and National Issues - Planning Policy for a Sustainable Future, Renewable Energy Planning Panel. UK. Author URL. Mitchell C, Connor P (2002). A Review of Four European Regulatory Systems and their Impact on the Deployment of Distributed Generation. EU SUSTELNET project, EU. Mitchell C, Connor P (2002). An analysis of economic regulation and its effects on the deployment of DG - the UK as a case study. EU SUSTELNET project, EU. Mitchell C (2001). Photovoltaic (PV) Government-Industry Group, Final report. DTI, UK, DTI. Mitchell C (2001). Report of the Embedded Generation Working Group (one of six lead writers). DTI/DETR/OFGEM, UK, DTI/DETR/OFGEM. Schaeffer GJ, Boots MGT, Anderson C, Mitchell C, Timpe M, Cames (2000). Options for Design of Tradable Green Certificate Systems. Author URL. Mitchell C, Anderson T (2000). The Implications of Tradable Green Certificates. ETSU,Harwell. Schaeffer GJ, Boots MG, Anderson T, Mitchell C, Timpe C, Cames M (2000). The Implications of Tradable Green Certificates for the Deployment of Renewable Electricity. ECN, ECN. Mitchell CHC (In Press). Getting our act together. Author URL. Mitchell CHC (In Press). On Reflection: We must not recreate the wrong market model. Author URL. Woodman B, ragwitz M, ordonez J, Mitchell C (2017). Economic and Non-Economic Barriers and Drivers for the Uptake of Renewables. Large scale renewables raise new challenges and provide new opportunities across electricity systems. This paper considers the barriers faced by large scale renewables in electricity systems in Sub-Saharan Africa and South Asia. We review the current state of knowledge in relation to grid-connected renewables. This paper then explores key issues in electricity system structure, the main challenges to the uptake of renewables, and the various existing fiscal and policy approaches to encouraging renewables. The authors also highlight possible ways moving forward to ensure more widespread renewables deployment. This research was supported by the UK Department for International Development’s Energy and Economic Growth Applied Research Programme. Mitchell C, Benson D, Lockwood M (2017). Negotiating the EU’s 2030 climate and energy framework: agendas, ideas and European interest groups. In 2014, European heads of state selected new targets for the EU as part of the 2030 climate and energy framework. The targets will guide the ambition and nature of EU policy in this area until 2030 and are likely to have important implications for Europe’s transition to a low-carbon economy. The decision taken by the European Council was preceded by several years of vigorous interaction between interest groups, the European Commission and the member states. The outcome of this interaction set the agenda for EU climate and energy policy but the role of interest groups in climate and energy policy, especially relative to important economic ideas, is relatively under researched. By augmenting and applying the multiple streams approach developed by John Kingdon in the 1980s and using process-tracing techniques, this thesis contributes a detailed case study of this important instance of European interest representation. It is found that the complex and dynamic political context for the interaction made planning and executing advocacy campaigns challenging for all actors. The debate about the 2030 framework is shown to hinge on the idea of technology-neutrality and its status on the policymaking agenda. A number of policy coalitions are observed with a wide range of characteristics, some novel. Several attempts at ‘policy entrepreneurship’ by interest groups are recorded but most were disrupted by the confused and fast-changing political situation. It is shown that a combination of spill-over between policy windows, framing and coalition building activity served to push the idea of technology neutrality up the agenda. The multiple streams approach is shown to be broadly applicable to the research context and aims but greater agency over policy windows than originally assumed must be granted to actors and the possibility for successful policy entrepreneurship to yield unintended policy outcomes allowed for. Mitchell CHC, Hoggett RD, Woodman B (2017). Submission: BEIS/Ofgem – Smart, Flexible Energy System – a call for evidence. Author URL. Full text. Mitchell C, Hoggett RD, Lockwood M (2017). Submission: National Infrastructure Assessment Call for Evidence. Author URL. Full text. Woodman B, Soutair I, Mitchell C (2016). ENVIRONMENTAL AUDIT COMMITTEE INQUIRY INTO SUSTAINABILITY AND HM TREASURY. Mitchell CHC (2016). Exploring German governance issues – informed by GB and US experiences. Mitchell C (2016). From local to global value: the transformational nature of community energy. The UK energy system has in the past been characterised by the ownership and control of large-scale supply technologies by corporate entities. It has become apparent however that such structures are ill suited to addressing contemporary energy challenges of decarbonisation, energy security and affordability. Moreover, their resistance to change means that the current system is fundamentally inconsistent with the need for energy system change. the advent of affordable renewable energy however, particularly at small-scale, offers new prospects for addressing these energy challenges. In particular, they present an opportunity for greater societal engagement in the energy system, not least as owners and managers of energy assets, but also as stakeholders with interest and influence in the energy system more generally. Within the context of greater citizen engagement in energy, community energy has developed in the UK as an organised means for “collective action to purchase, manage and generate energy” (DECC, 2014b). Such collective action is complimented by progressively broad engagement by individuals in the energy system as investors and prosumers, rather than solely consumers. This thesis responds to a need to better understand the role and value of community energy, and wider societal engagement more generally, within the wider energy system. Taking a mixed-methods approach, this thesis contends that community energy has the potential to have significant impacts at both local and national scales. Social, economic and environmental impacts of a specific community energy project are evidenced to illustrate the breadth and scale of potential impacts at the local level. Broader analysis of the community energy movement, and of ‘small-scale energy’ more generally is suggestive of the potential for such approaches to be transformative in terms of overcoming system inertia. In particular, the energy system is undergoing a process of democratisation, whereby power, wealth and value is gradually distributed among society. A key role for policymakers then is to consider the strategic importance of democratisation. Mitchell CHC (2016). Innovation and Energy Governance – lessons to be learned from New York State?. Innovation and Energy Governance – lessons to be learned from New York State? Mitchell CHC (2016). National Infrastructure Commission call for Evidence. Author URL. Mitchell CHC (2016). The Future of the Electricity Utilities Project. Mitchell CHC, Lockwood M, Hoggett R (2015). CMA Code Governance: info request to industry participants. Author URL. Mitchell CHC, Hoggett R, Lockwood M, Kuzemko C (2015). Codes Governance and Reform Discussion Paper. Author URL. Full text. Mitchell C, Woodman B, Kuzemko C, hoggett R (2015). Comments on the CMA Energy Market Investigation. –. Updated Issues Statement. Mitchell C, Woodman B, lockwood M, Britton J, Kuzemko C, Hoggett R (2015). Comments on the CMA Energy Market Investigation: Provisional Findings and. Poss ible Remedies. Mitchell CHC (2015). Energy Policy – a global move to renewables and energy efficiency. Mitchell CHC (2015). Energy System of the Future. Mitchell CHC (2015). From ‘dirty’ energy to sustainable energy: UK Energy Policy and the role of community energy. Mitchell CHC (2015). GB Energy Policy – constraints and opportunities. Mitchell CHC (2015). Governance and transition to a sustainable energy system: how institutions, rules and incentives in Great Britain support the current system and undermine change. Lockwood M, Mitchell C, Kuzemko C, Hoggett R (2015). Innovation and energy industry codes in Great Britain - EPG Working Paper: 1508. This paper examines the role of industry codes in the governance of the energy system in Great Britain, focusing especially on how codes and code governance affect attempts to transform the system to a more sustainable future. We lay out the nature of codes and why they are important for achieving policy change. We then describe the way in which codes are governed, including reforms in the late 2000s and two more recent reviews. Three challenges for the codes system are then discussed in detail: complexity and fragmentation, and how these act as a barrier to new entrants; the gap between code objectives and high level policy aims; and the self-governance approach in a period of rapid transformation. These challenges point to the need for reform. We argue that the two official review processes currently underway are too narrow in nature and a more thorough-going approach is needed. An alternative agenda is then developed. We propose that code modification be undertaken by a dedicated code management body. This would not be located in the regulator (Ofgem) but in an independent system operator. We also suggest various ways of mitigating risk in such an arrangement. The ultimate aim is to make the process of writing industry codes to support policy innovation simple, transparent and technical. Mitchell CHC (2015). International comparisons of governance & innovation. Mitchell C, Woodman B, Kuzemko C, Hoggett R (2015). Public Value Energy Governance. This short Discussion Paper is intended to stimulate discussion about how governance of the energy system in Britain can better keep up with technological, economic and social change. We have set out a possible model for future governance and regulation – which moves from the ‘independent, CEO led’ model currently in Britain to one which is more ‘directed’ and which we argue is more legitimate, transparent and nimble; but which also better suits the characteristics of current technologies (whether supply, demand, storage and ICT integration). We would welcome comments on it by the end of June 2015. Whatever the optimum model for future energy system governance and regulation, though, the fundamental point remains: the current model of regulation in the UK’s gas and electricity systems is no longer fit for purpose. Mitchell CHC (2015). Renewables – how far can we go?. Renewables – how far can we go? Woodman B, mitchell C, lowes R, Dutton J, Hoggett R, Steward T, Lockwood M, Kuzemko C (2015). Submission from Energy Policy Group to House of Commons Energy and Climate Change inquiry on ECC priorities for holding Government to account. Mitchell CHC (2015). The IGov Project. Mitchell C, Kuzemko C, Hoggett R, Lockwood M (2015). The IGov Project. Mitchell CHC (2015). The State of the Power Sector in Europe. Mitchell CHC (2015). Tomorrow’s Utilities – what future?. Tomorrow’s Utilities – what future? Presentation at Cornwall Energy Event: Tomorrow’s Utilities: What Future, or Will there be a Future? Mitchell CHC (2014). Change and Inertia in the UK Energy System – getting our institutions and governance right. incentives are in place but how and why they are in place. hallmarks of a governance system which encourages change; and it concludes. Woodman B, mitchell C, Lockwood M, Kuzemko C (2014). EPG submission to Strategy and Policy Statement: a consultation on the Draft Statement. Mitchell CHC (2014). Evidence to Energy and Climate Change Select Committee for Inquiry on Electricity Demand-Side Measures. Author URL. Hoggett R, Lockwood M, Mitchell CHC, Steward T (2014). Evidence to Energy and Climate Change Select Committee for Inquiry on Electricity Demand-Side Measures. Author URL. Mitchell CHC (2014). GB Energy Policy Overview. Author URL. Mitchell CHC, Froggatt A, Hoggett R (2014). Governance and disruptive energy system change. This paper explores the biases towards the conventional energy system currently in place in GB; it looks at potentially destabilising factors at work in the GB energy system; it looks at disruptive influences at work in the wider energy system; and it asks whether those wider factors are sufficient to force change in the GB energy system. Mitchell CHC (2014). Governance and disruptive energy system change. Mitchell CHC (2014). Innovation, Governance and Affordability for a Sustainable and Secure Economy. Author URL. Mitchell CHC (2014). Innovation, Governance and Affordability for a Sustainable and Secure Economy. Mitchell CHC, Woodman B, Lockwood M, Fitch-Roy O, Steward T, Hoggett R (2014). Submission to CMA energy market investigation. Author URL. Mitchell CHC (2014). Submission to CMA energy market investigation. Author URL. Mitchell CHC (2014). Submission to DECC Consultation on the draft Strategy and Policy Statement. Author URL. Woodman B, Mitchell CHC, Lockwood M, Kuzemko C, Hoggett R (2014). Submission to DECC Consultation on the draft Strategy and Policy Statement. Author URL. Lowes R, Britton J, Kuzemko C, Lockwood M, Mitchell CHC, Steward T, Woodman B (2014). Submission to Energy and Climate Change Select Committee on Fuelling the debate: successes and future challenges. Author URL. mitchell C, Woodman B, lockwood M, Fitch-Roy O, Steward T, Hoggett R (2014). University of Exeter Energy Policy Group response to the Energy Market Investigation Statement of Issues, submission to the Competition and Markets Authority. Mitchell CHC (2013). Book Review of Dieter Helm's the Carbon Crunch: How we're getting climate change wrong - and how to fix it. Juncture, 19, 266-267. Author URL. Piria R, Lorenzoni A, Mitchell CHC, Timpe C, Klessmann C, Resch G, Groscurth H, Neuhoff K, Ragwitz M, Gonzalez P, et al (2013). Ensuring renewable electricity investments: 14 policy principles for a post-2020 perspective. Lockwood M, Kuzemko C, Mitchell CHC, Hoggett R (2013). Theorising governance and innovation in sustainable energy transitions. Mitchell CHC, Woodman B (2012). Written Evidence to the Pre-Legislative Scrutiny of Draft Energy Bill. Mitchell CHC (2011). Nuclear Power is the reason for the New Energy Reguations. Mitchell CHC, Woodman B, Baker P, Aldridge J (2011). Response to the Electricity Market Reform Consultation. Author URL. Mitchell CHC (2011). Should Nuclear Play a Bigger Part in the Future Energy Mix and can it Attract Investment in a Competitive Market. The House, 36(1387), 39-39. Mitchell CHC (2010). UK must shake off the dominance of the energy giants. Baker P, Chaudry M, Mitchell CHC, Woodman B, Jenkins N, Strbac G, Hardy J (2010). UKERC Response to the PRASEG inquiry, Renewables and the Grid: Access & Management. Baker P, Mitchell C, Woodman B (2009). Invited Evidence to the Energy and Climate Change Committee for it's enquiry into the Future of Britains Electricity Networks. Author URL. Mitchell CHC (2009). These Fossil Fools. Mitchell C, Woodman B, Connor P (2008). Evidence to the Select Committee on the European Union (Sub-Committee B) Inquiry into the EU’s 20% Renewable Energy Target. Woodman B, Mitchell C (2006). Caution Needed on Carbon Contracts. Power UK, 33-34. Mitchell CHC (2006). Evidence to House of Commons Environmental Audit Committee Enquiry into Keeping the Lights on: Nuclear, Renewables and Climate Change. Mitchell C, Woodman B (2006). response to the DTI Energy Review Consultation comprising: Dear Energy Review Team Letter; answer to Question 1 – How to increase installed renewable energy capacity in the UK; answer to Question 2 – Regulation and infrastructure change; answer to Question 3 – New Nuclear Power: implications for a sustainable energy system. Mitchell CHC, Woodman B (2005). Can the UK get Back on Track?. Energy Solutions, 44-45. Mitchell C, Woodman B (2005). Response to Defra Review of the Climate Change Programme. Mitchell C, Woodman B (2005). response to DTI Consultation on Microgeneration. Mitchell C, Watson J (2003). Response to Ofgem’s Structure of Electricity Distribution Changes: Initial Conclusions. Mitchell C (2003). Response to Open Letter from C McCarthy to DNOs and Electricity Distribution Losses. Mitchell C (2003). response to Ofgem’s Innovation and Registered Power Zone Discussion Document. Team CMAPOPIUE (2002). Minutes of Evidence to House of Commons Environmental Audit Committee on Sustainable Energy. Mitchell C (2002). Minutes of Evidence to House of Commons Environmental Audit Committee on Sustainable Energy on 24 April 2002 as part of PIU Energy Review team. Mitchell C (2002). Response to Ofgems Structure of Electricity Distribution: price controls, incentives and connection charging. Mitchell C (2002). Response to Ofgem’s Consultation on Distributed Generation: price controls, incentives and connection charging. Further discussion, recommendations and future action. Mitchell CHC (2002). The Barriers to Renewable Energy and CHP, for Energy Advisory Panel. Mitchell C (2002). Tyndall Centre for Climate Change Research, 2002, Response to Ofgem’s Update Document on. Distributed Generation: price controls, incentives and connection charging. Mitchell CHC (2000). Response to OFGEM's Environmental Action Plan - a discussion paper. Member, Advisory Board of I-REMB – Innovative rem-making of markets and business models in a renewable energy system based on wind power (a Danish funded project with PI Peter Karnoe), 2016 onwards. Catherine Mitchell has taught extensively on both postgraduate and undergraduate courses within the Geography School of the University of Exeter as well as contributing to other programmes at other institutions as a visiting lecturer. She covered topics such as energy policy, the low carbon economy, climate change, energy demand, energy security and energy economics. Catherine is no longer teaching undergraduates. She has three PhD students: Tom Pownall (electricity market design), Helen Poulter (Australia and distribution network issues) and Emily Judson (data and democratisation issues). Catherine acts as examiner for external PhD students as well as a first or second supervisor for internal PhDs students. Please see her group page for information.